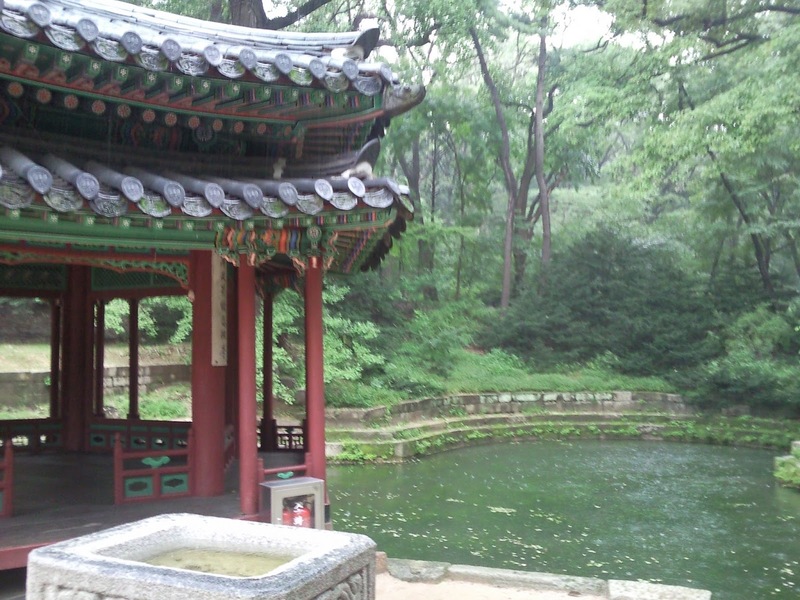 Yes, this is the post that gave me the idea for the blog's name, but Did I actually get lost in Korea?? Lets see... it was a paid trip to South Korea, I was already there for almost ten days, and I was going to leave like that? After crossing half of American continent and the entire Pacific Ocean? No Way! But there I was, September first, some of the participants of the Quiz were leaving and some of us staying. Now was time to look for a place to stay, where to eat and visit, so exciting!! I enjoyed my last full breakfast at the hotel (I didn't know if I would be even having breakfast the next days), my luggage was ready, I accompanied the girls to do some last minute shopping, come back at mid day to say bye to some of the girls, then it was time to be by my own. In the hotel they kept my luggage while I went to find a place to stay. I did actually planned my stay before taking the plane to Korea, but my luggage lost one of its tires and I was helpless, I could not go like that to Hongdae were the guest house was. So now I needed something in Seoul. 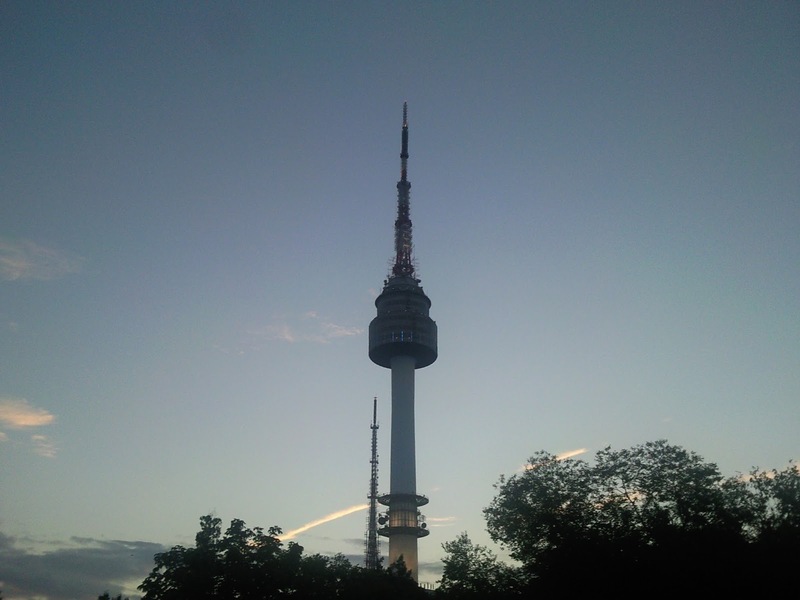 I was with Isabel (she had been in Korea before), I went with her to meet her friends, later went to Namdaemun to continue shopping and finally we ate Ttopokki in Myeondong. It was already dark outside and we didn't have a place to stay yet. Isabel knew of a place she had stayed before, we went there and even though the owner just allow Japanese people to stay there, he let us rent a room, after that we went back walking to the previous hotel to pick up our luggage. It was a beautiful night, full of people in the street, in our way we stopped by Cheonggyecheon river and rested a little bit. Past twelve we were done by the day, tired and ready to sleep. Now, what to do, where to go? I was afraid to take the subway by myself but I got courage, took the subway and the city map and got on the subway. Destiny: Gangnam or so I thought... I got off on the Gangnam-gu Office station, when I got to see what was over the subway I couldn't do anything but stare open mouthed... Buildings and buildings in line everywhere!! I didn't even know if I was going to the right direction but I started to walk, and that was what I did for hours. My idea was to visit some Entertaiment Companies (SM, Keyeast, Cjes, etc) and I had them marked in my map, but what I didn't know is that one square in the map was like 3 o more kilometers real distance. So I kept walking, and walking, and walking and walking until I got tired and at the first sign of a subway station I took the subway back to Seoul. The next day I would go again but more prepared. That same day I took advantage and went to the Han river in Ttukseom Resort, a really nice place to walk and ride a bike, but it was so humid and hot that I decided to move on the next stop: Children's Grand Park, first thing I did: buy some kimbab from the ajumas, it tasted really delicious!! mostly the hunger I had after walking like crazy!. The park was huge, full of animals and green places, there was an amusement park I didn't get to know. Next stop Myeongdong straight to the hostel. Next day (and my last one), I went to meet some Costa Rican friends that were studying in Korea by the time, but it was raining like crazy!, went for a coffee, then we walked through Bukchon and take some picture in from of the house where "Personal taste" was recorded, then we went to Changgyugung Palace. After they left for classes I decided to go again to Gangnam, this time I wrote down the address so I was decided to find at least that one place: Cjes. He very nicely look for the address in his notebook and guided me a little bit, actually I was pretty lost were I was. To say it in other words, the place I was looking for was less than a kilometer away from the station I got off. I thanked the guy several times, and went back to the rain eating my ice cream half tired, completely wet and happy. 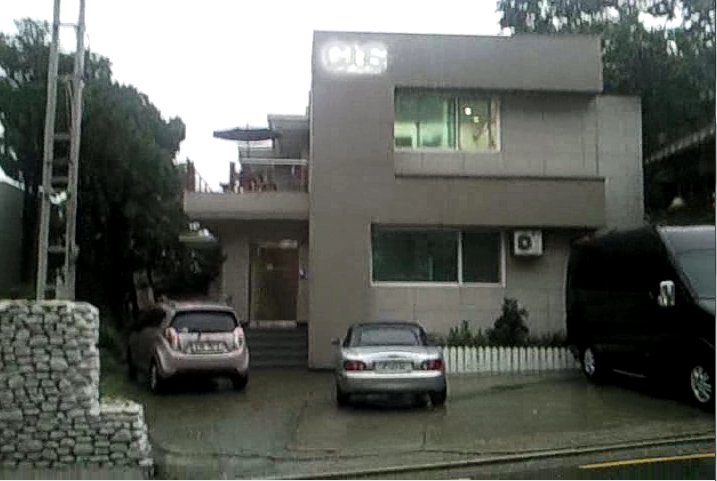 It was exactly where the guy told me, it wasn't in a principal street, not in a high class town, and it wasn't a big building, but there is was CJES (JYJ's agency), and outside, in the mini parking lot was a car I knew was Jaejoong's, I coudn't hide my 바보 face. Luckily just in from of the building there was a coffee shop, I went in, asked for a Capuccino and sat down by the window staring.. (you know where). That Cappuccino was the most expensive I have paid for, but I didn't care, I took my time to finished it. Someone from the building were peeking outside several times just exactly to where I was, I didn't know who it was, but I loved to think it was JJ, haha. The cappuccino was gone as also the day light. Time to go back. As a Cassiopeia fan.. that was incredible! After changing clothes, I went to have dinner in Myeongdong, it was my last night in Korea, I wanted to try Naengmyun, so I look for the best place, enter and burned my mouth with that spicy plate, after diner a went to waste the money a have left. Everysing and Spao are in the same building.. Now with a sad feeling went back to the hostel and finished to get ready the luggage. Next day I woke up very early to go to the airport, I hadn't decided by the time which was the best option Limousine (airport bus) or the subway. I chose the first one but the bus didn't appear, took a taki to the Seoul Station (btw don't expect the taxi driver to get down and help you with the luggage), and the hell started. I got to the door when people started to get on the plane, no time to take a breath, no even look back to see how Incheon Airport was, not even say good bye.. I was going back to my country. And with my heart full of hapiness and sadness at the same time I arrive to Costa Rica, my parents picked me up and I almost cry.